If you thought the internet restricts gamers to download only shareware and commercial video games, you are mistaken. There are lots of sites that offer full free games to download. Sites like Abandonia.com and downloadfreegames.com offer a wide variety of abandonware and free games. While searching for the best site for free PC games, I stumbled upon Worldoffreegames.com and I just fell in love with it. The site boasts a wide variety of DOS and Casual games with a simple user-friendly interface. The games are for everyone, both young and old. This gaming site was officially launched on November 6th, 2000 by a group of Czech gaming geeks. Since then, it was just no looking back as they continue to build a database of free addictive downloadable games and currently have more than 500 free single and multiplayer games to download. Worldoffreegames.com has an extremely simple and easy interface. Users are presented a list of sections on the top left corner of the site. There is a Free Games section, a Most Popular section and a section that has the latest games uploaded by the site’s owners and developers. Users can easily access these sections by clicking on them. There is also a “Top Picks” section which displays the best games chosen by users. The search bar on the top right corner lets users to search for their favorite games available in the database. 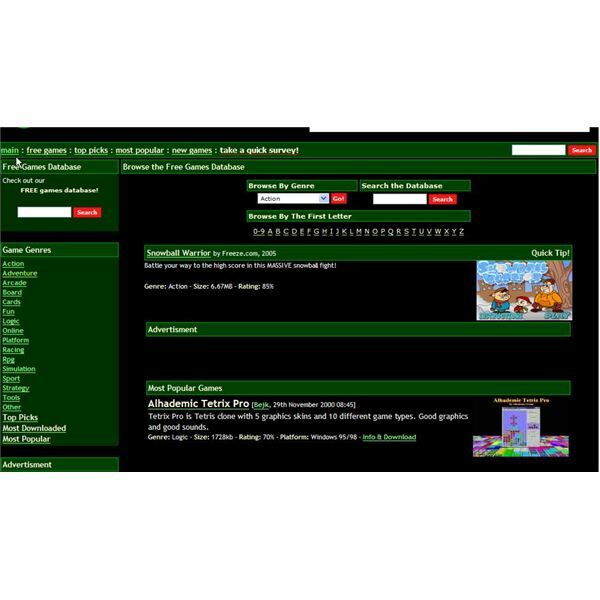 Worldoffreegames.com has a database of more than 500 abandonware and casual games. The games are sorted alphabetically for easy interface. Games are also divided into a variety of genres including action, adventure, arcade, simulation, strategy and many more. I loved the Simulation category which had many Sim racing games as well as aircraft simulation games. The ‘Cards’ section has loads of online multiplayer card games including Rummy and Strip Poker! For the thinking gamer, the ‘Logic’ category offers lots of brain-mashing games. There is also a separate online games section that is dedicated to multiplayer games of various genres. New and innovative game developers stand a great opportunity to get their games hosted. The site can be easily contacted if a developer has created a new and addictive game and is on a hunt for traffic and webspace. A newly developed game is selected and placed on the Newest Games section with the name of the developer, the website’s name, and some screenshots of the game. Worloffreegames.com allows users to review and rate their favorite games. You will notice that there is a rating percentage and user reviews below each game. The honest ratings and reviews help new users to have a clear idea of the game before downloading it. The site offers a great interactivity for users in terms of reviews and ratings. Worloffreegames offers the best games for many platforms, including DOS and Windows. The site is easy to navigate and contains detailed information on each game. There are also lots of screenshots available. The site not only offers old games, but also has a wide variety of new abandonware games. 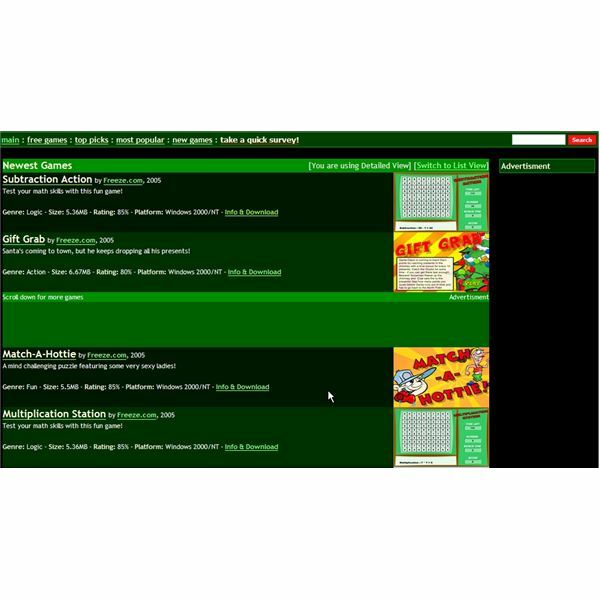 Do bookmark this free games website for hours and hours of fun and entertainment. The Browser and Social Networking Gaming Revolution – Why Are Browser games so popular?